Almost everybody over 60 will have some sign of OSTEOARTHRITIS in some part of their body, also known as “wear and tear arthritis.” It is caused by a breakdown of the protective layer that covers and cushions the ends of all bones. As the cartilage wears down and it’s cushioning effect dissipates, smooth joint function suffers, causing pain and inflammation. The accumulated wear and tear on our joints from routine walking, typing, lifting, and running eventually results in the thinning and breaking down of the cartilage. This in turn leads to inevitable pain, inflammation, and loss of motion associated with osteoarthritis. This can happen even faster for athletes or obese individuals. Until recently, most doctors thought that once osteoarthritis set in, there was no fighting its inevitable progression; all they could do was give pain relief. Aspirin (Bayer, Excedrin, etc. ), Ibuprofen (Motrin IB, Advil), Ketoprofen (Orudis KT, Actron), Naproxen sodium (Aleve), and Acetaminophen are usually given first. Importantly, however, these drugs have serious side effects over time. They can cause stomach bleeding, ulcers and other problems, and may cause liver damage. Eventually, these over-the-counter drugs fail to relieve the pain, and stronger nonsteroidal anti-inflammatory drugs (NSAIDs) such as Celecoxib (Celebrex), MK-0966 (Vioxx) or Meloxicam (Mobic) may be prescribed. Finally, steroid injections (such as cortisone) at the joint, or opiates are used. None of these drugs do anything to fix the underlying problem. In fact, they may well contribute to further damage, since without pain it is easier to overwork arthritic joints. Over the last few years, several double blind clinical studies have shown that glucosamine sulfate supplements may help to maintain healthy joints, restore full range of motion, and reduce the pain and inflammation of osteoarthritis. Unlike the painkillers that doctors prescribe, glucosamine doesn’t just cover the pain. It has been shown to slow further joint degradation, and may help to rebuild cartilage, thus alleviating the cause of the pain. Glucosamine is the most fundamental building block required for the biosynthesis of cartilage. It is a simple amino sugar and the primary building block of proteoglycans – the molecules that give cartilage elasticity. Up until a few years ago, few doctors believed that glucosamine worked. While there were some short-term clinical trials, the conventional wisdom said there were no long-term studies on a large enough group to prove that glucosamine was effective. Then, at the 63rd Annual Meeting of the American College of Rheumatology, a new report of a three-year randomized, placebo-controlled, double blind study on 212 patients dispelled the conventional wisdom. This study showed, for the first time, that glucosamine not only reduces the symptoms (pain and inflammation), but it actually slows deterioration and induces re-growth of the cartilage. Radiographs of knee joints were used to measure the space between joints. In the placebo group, this space decreased by about 0.3mm, showing that cartilage continued to deteriorate. In the glucosamine-treated group, the mean joint space had increased by nearly 0.1mm. This and other recent studies on glucosamine, have finally convinced many skeptics that glucosamine works. 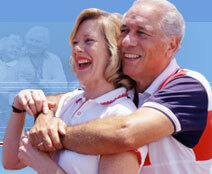 For example, the Arthritis Foundation published a report, “Glucosamine: The Truth about the Talk," earlier this year. The National Institute of Health recently awarded a four-year research contract to the University of Utah School of Medicine to study glucosamine at nine centers across the U.S. Many doctors are now telling their patients to take glucosamine supplements, and the use of glucosamine by professional athletic teams is growing rapidly. If you’re starting to feel the early warning signs of osteoarthritis (morning stiffness or minor aches and pains) or if you’ve already gone beyond that and aspirin is part of your daily routine, a high-quality glucosamine supplement may help you to enjoy many more years of a pain-free, active life. However, don't be fooled by low-quality glucosamine products or glucosamine in capsule form. Glucosamine in liquid form is much more effective. For complete relief, look for a 98% pure liquid glucosamine product such as Syn-flex® that contains other beneficial ingredients such as chondroitin, boswellin, bromelain, yucca, omega 3 and 6, and vitamins A, C, and E.